To these, the kingdoms belong. And in such polished sanctimony you receive. Is your god so inconsequential? Could it lack a god? Could it be spiritual vacuum? It is they that I listen to. Hell’s fury should be no more. I love the piece of art ,its amaizing and I know I would love the audio version better, make arrangements if you can. 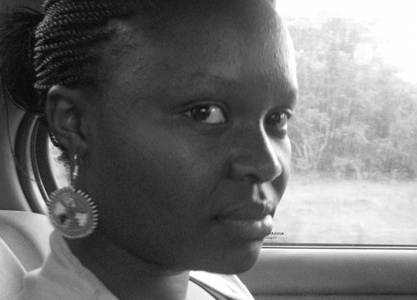 Rachael Kainyu Njeri is a Kenyan poet who began writing, as most do, in high school to help her through adolescence. With time it became more than just venting and now she has a blog where she posts her work. She is quite young in the performance scene but has performed with the Sanaa Fusion. Her work has been featured on a couple of sites including Wamathai.com and B-Gina Reviews.